The Shorbaghi Mosque, built in 1757, is on El Nokrashi Street. 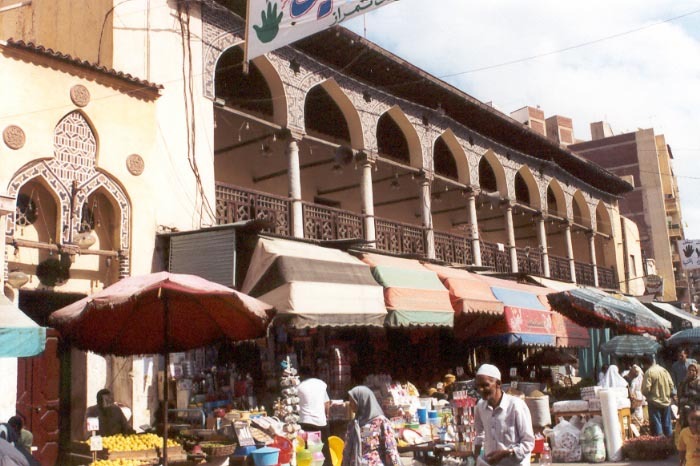 It is unusual in not having a minaret, which in these loudspeaker days hardly matters, but in the past the muezzin would have made the call prayer from the first floor arcade which is set above shops and overlooks a market place. Rents from shops help towards its upkeep.